As we make our way across Latin America, on the long drive south to Patagonia, we often stay in cheap, budget hotels so we can stretch our travel dollars as far as possible. Of course, when possible we seek out free places where we can camp out of the back of my truck, usually in the many incredible national parks along the way. But in the cities that we explore, the option boils down to paying for an expensive campground or grabbing a cheap hotel room. More often than not, the prices to camp per person, are the same as what it costs for a hotel room. 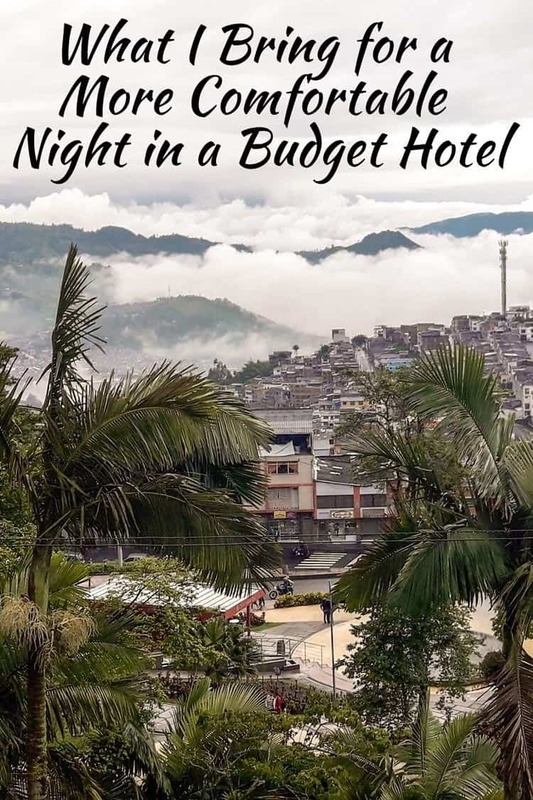 These budget hotels range between $10 – $20 per night for a couple — some times even less, though that is rare. While these hotels are perfectly agreeable for the most part, with a comfy bed, TV, WiFi, and secure parking, there are a few things we be sure bring along with us in our travel that make our hotel nights a little more comfy. Many times we find only one electrical outlet in a room, and it is usually on the other side of the room, far from the bed. A simple six foot extension cord is probably the most important thing we have for hotel life. 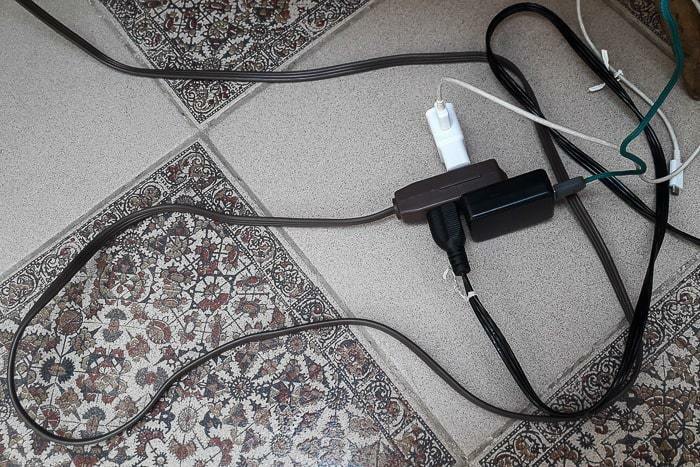 It’s best if your extension cord offers up two or three connections so you can plug in phones, computers, charge cameras, etc. I can’t stress the simple extension cord enough when traveling throughout Latin America and staying in cheap hotels! A hot water heater was a recent addition to our arsenal and has made a world of difference. I’m not sure why we hadn’t thought of this earlier. Before we would bring in the JetBoil so we could heat up water, but now we have a simple way to boil water in the room. Not only does this treat otherwise suspect water, but it allows us to make coffee in the morning, make oatmeal for breakfast, or heat up water in the evenings for tea, instant coffee, or an instant soup. This simple purchase has been a game changer, and it’s obviously much safer than using a JetBoil in the room. 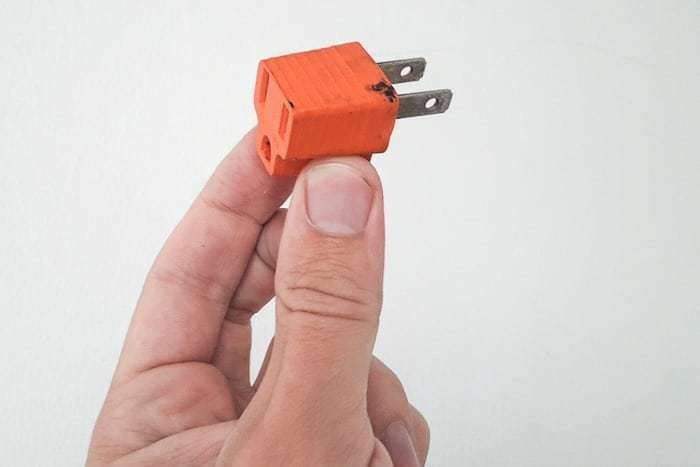 Along with the extension cord, a three-prong to two-prong outlet adapter (also known as a polarized grounding adapter) is crucial. The vast majority of budget hotels do not have the three prong outlets available, which means I couldn’t connect my computer. I keep it tied to my extension cord with a little twist tie so I don’t ever lose it. I’ve spoken often about how the Aeropress is the best way to make coffee while traveling, and that most definitely includes hotel life. Coupling that with the hand-held burr grinder and the electric water kettle mentioned above, and that means we can drink really good coffee for breakfast or whenever we want. Some days we stay in the hotel to get work done, and I like my coffee while I work, so this means we can avoid going out and searching for a coffee shop (sometimes harder said than done in South America), and we save money by making it ourselves. If you’re traveling through Latin America or the developing world, you know that you can’t drink the water (except in very rare places). Traveling with a SteriPen means that I can treat the tap water and drink it! This means I don’t have to be buying plastic water bottles (extremely wasteful) and I save the time and money of searching them out. It is handy that it is rechargeable by USB, so you don’t have to worry about batteries either. I regularly drink tap water thanks to the SteriPen and I’ve never gotten sick yet. Thanks to the SteriPen we also treat water for our morning cereal (with powdered milk) for another easy breakfast option without leaving the room. Let’s face it, oftentimes a cheap hotel is often a noisy hotel. Even if you’re way out in the country side, you might have roosters crowing or dogs barking at all hours of the night. The smartphone app Relaxio (totally free!) has been an absolute lifesaver for nights like that. 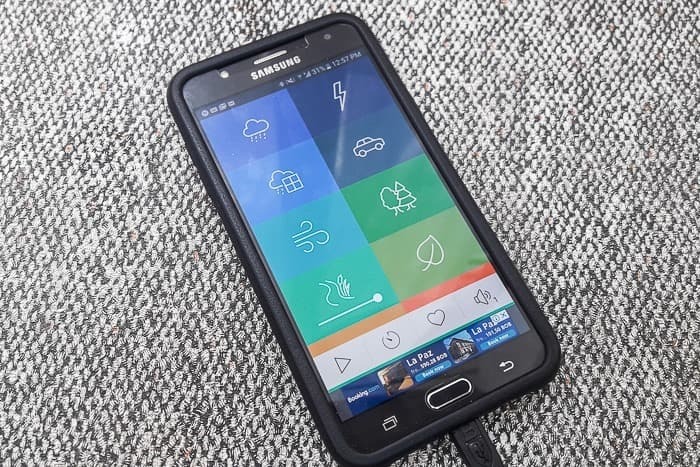 It’s basically a white noise machine, allowing you to mix and match your preferred noises which can include the ocean waves, a crackling campfire, rain drops, a running stream, and much more. You can set it to run all night long to wash out unwanted noises, or you can put it on a sleep timer to help you get some shut eye. Couple this with an eye mask, and you can still get your beauty rest in even the noisiest of hotels. I’ve even used this with headphones while camping when my tent mate was snoring non-stop before a summit attempt. Traveling to a cheap budget hotel on your next trip? Book the perfect room on Booking.com today! 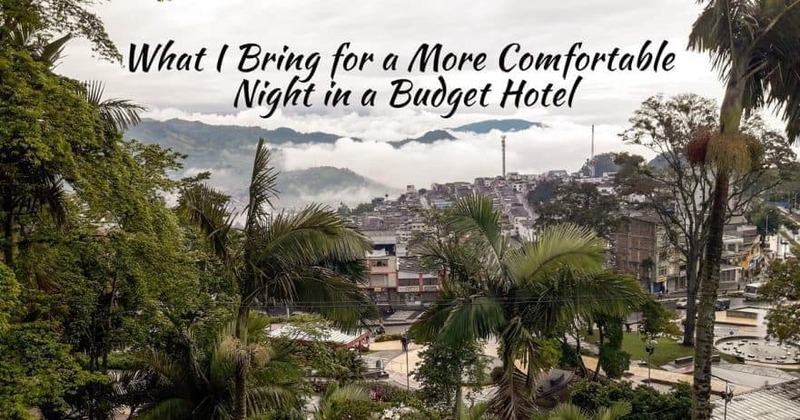 Did you enjoy this post on budget hotels? Please take a moment to share it on Facebook, Pinterest, or Twitter. Your articles are great, packed with information and I enjoy reading them. Through your writings I have found the emerging culture of travelers. And, good point on the 3 to 2 prong adapter which is also handy in libraries with your laptop. See ya down the road. Great list Ryan! We have used all those things when travelling and they make such a difference. 2) We take a small coffee plunger (cafetière/French press) and buy ready-ground coffee beans to avoid the need for filters – make it extra strong then add more water to dilute when making more than one cup. And an aerolatte for frothing milk when there’s a microwave handy. Also small and easy to pack! And I now just use ear-plugs as white noise keeps me awake ! (My husband isn’t disturbed by noise, luckily, he can sleep through anything – but he would wake if there was a burglar etc! Another tip: budget hotels often have curtains that don’t meet properly when closed so a few spring-pegs come in handy to hold them shut. I would love to travel in South America one day, my brother’s been twice and loved it. This is awesome, Judith, thanks so much for chiming in with your perspective. Funny, we too use a little plastic clip to clothes the curtains as well, I forget to include something so small and simple, but I should definitely add that. 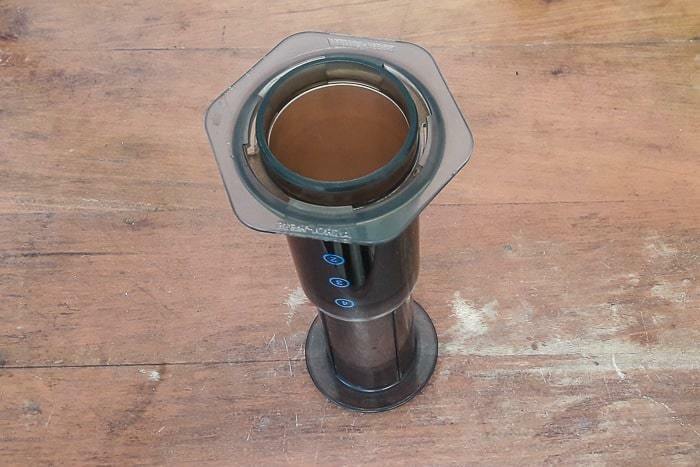 You should check out the Aeropress though (with a metal filter), since the clean up is waaay easier. You can still buy a bag of ground beans, which we sometimes must do when we can’t find whole beans in our travels. Ear plugs and an eye-mask are most excellent additions. Never used one of those immersion heaters, but many travelers swear by them. Thanks for sharing some great ideas. 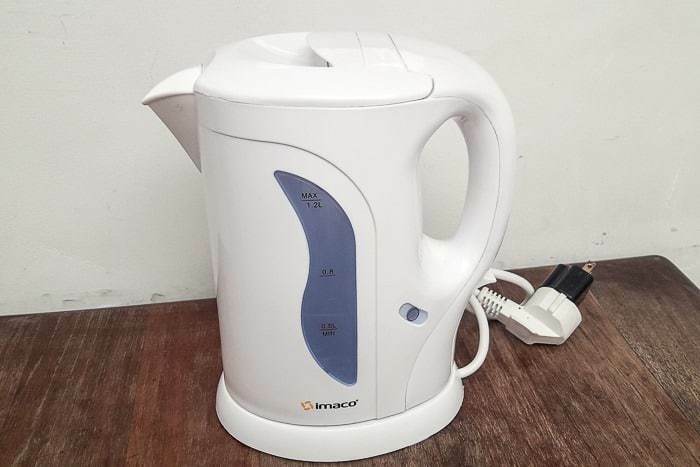 I love the idea of bringing along a kettle – seems so simple, yet who would’ve thought of it? Your ideas are really practical and easy to do, yet it sounds like they’ve really added to your level of comfort. I especially like your tip about securing the adapter to the extension cord with a twist tie – those small pieces are easy to misplace. The hot water kettle has definitely been an awesome thing to have on the road, I’d recommend it. Thanks so much for checking out the article, Chris!